Input text: the [essay] windmill. 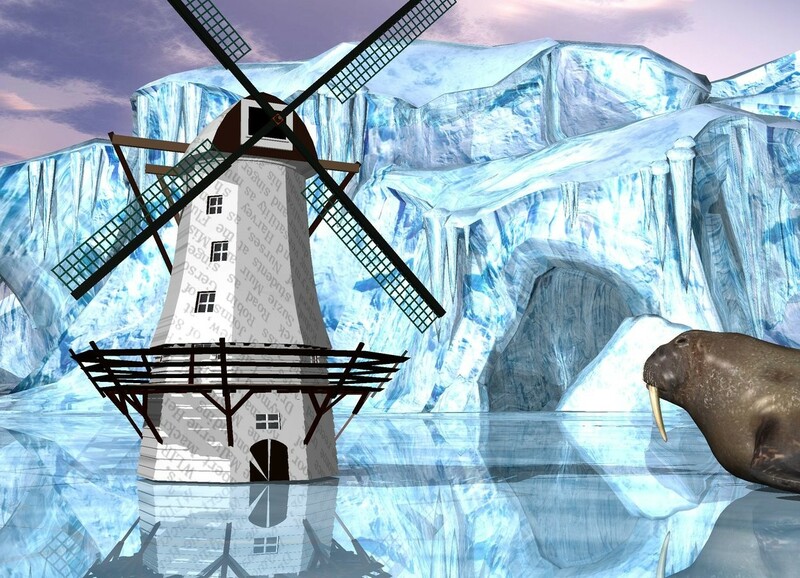 the large walrus is 6 inches in front and to the right of the windmill. it is facing the windmill. the ground is shiny.